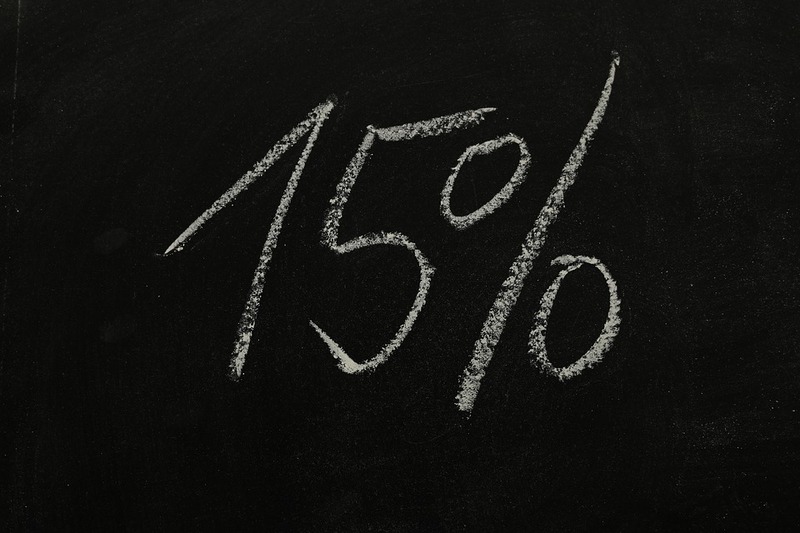 In Herbert v H H Law Ltd  EWCA Civ 527 the Court of Appeal upheld a decision on a solicitor and own client assessment that the additional liability in a simple personal injury case should be 15%. It allowed the appeal in relation to the client paying an after the event insurance premium. (Robin Dunne of Hardwicke, junior counsel for the respondents in the appeal, has an article on this case available on the Hardwicke website. The claimant had instructed the defendant solicitors in a personal injury case. The agreement between the claimant and the defendant allowed a 100% mark up for the additional liability. The case settled for £3,400. The defendant deducted £829.20 from the damages representing the success fee. The claimant issued an application for two bills of costs. The District Judge held that a figure of 15% was reasonable and the sum was reduced to £276 plus vat a total of £331.20. This decision was upheld on appeal to Mr Justice Soole. That part of the decision was upheld by the Court of Appeal. The fixing of a success fee uplift in the context of a conditional fee agreement has traditionally been related in this country to an assessment of the risk of the proceedings being lost. Soole J set out in his judgment (at -) a clear and detailed account of the difference between the way that an uplift under a conditional fee agreement was treated on an assessment of costs as between the parties and an assessment as between solicitor and client before and after LASPO. It is sufficient, for the purposes of this appeal, to say the following. Prior to April 2013, in deciding whether a success fee was recoverable between the parties as a reasonable cost, the CPR stated that the relevant factors to be taken into account included “the risk that the circumstances in which the costs, fees or expenses would be payable might or might not occur”, judging the facts and circumstances as they reasonably appeared to the solicitor or counsel when the funding arrangement was entered into and at the time of any variation of the arrangement: see the then 44PD.5 paras. 11.7 and 11.8(1)(a). The same consideration applied, on a solicitor and client assessment, where the client had entered into a conditional fee agreement: see the then 48.PD.6 paras. 54.5(1)-54.8. LASPO abolished the right of recovery of a success fee as between the parties. Those provisions in the former Practice Directions, and the corresponding provisions in the CPR, have been revoked. They are not reproduced in the current CPR 46.9 or in PD 46. As Soole J observed, however, and Mr Kirby submitted, the wording of CPR 46.9(4) shows that it was envisaged that a success fee would be related to risk: the reference to the perception of the solicitor or counsel when the conditional fee agreement was entered into or varied closely reflects the language in the former 44PD para. 5 11.7 and 48PD.6 para. 54.5(2). HH’s point on the business model is that it is a perfectly fair and reasonable way of addressing the limited recovery of costs, generally fixed costs, in small personal injury claims, and the abolition in such claims of the right to recover from the losing party a success fee payable under a CFA, and so enables solicitors to handle those types of claim, bearing in mind that the client does not pay under the CFA if the claim is lost, the solicitor is effectively funding the litigation as it progresses and the effect of the 100% standard uplift is to spread the risk across the range of cases handled by the solicitor. HH says that consumer protection is provided in these types of claim by the statutory cap of 25% of relevant damages. Leaving aside that there is a substantial dispute between the parties as to the practical implications of the 25% cap on different amounts of damages and profit costs, I do not consider that either HH’s justification for its charging model or the 25% cap answer the point that in this country, in the context of a conditional fee agreement, the amount of a success fee is traditionally related to litigation risk, as reasonably perceived by the solicitor or counsel at the time the agreement was made. Across the broad range of litigation, it would be unusual for it not to be. It continues to be the case in those limited areas, such as publication and privacy proceedings and mesothelioma claims, where success fees are still recoverable from the losing party. Even taking the sub-set of low value personal injury claims, Mr Ralph’s evidence goes no further than that “most” of HH’s competitors have adopted the same business model and “many” of HH’s competitors charge success fees in the same way. That is insufficient to avoid the need, for the purposes of informed consent of the client under CPR 46.9(3)(a) and (b), to have told the client that the success fee of 100% took no account of the risk in any individual case but was charged as standard in all cases. Nor was the 100% uplift in the present case any less unusual in nature and amount just because it was capped, as required by LASPO and the 2013 Order, at 25% of general damages for pain, suffering and loss of amenity and damages for pecuniary loss, other than future pecuniary loss. While the level of the contractual cap was not unusual, and its practical effect may have been to reduce the success fee to an amount that was not in all the circumstances exorbitant, it nevertheless remains the case that the starting point of a 100% uplift, irrespective of litigation risk, was and is unusual. It is not a ground of appeal that, if the presumption in CPR 46.9(3)(a) and (b) does not apply, DJ Bellamy was wrong to assess the appropriate percentage increase under CPR 49.3(4) at 15%. The Court of Appeal allowed the defendant solicitor’s appeal in relation to the ATE premium. I would allow the appeal on this point. In Re Remnant (1849) 11 Beav 603 the issue was whether a particular payment made by a solicitor on behalf of the client was “a professional disbursement in the bill of costs” or “a mere cash payment”. The payment in question was the sum of £64 18s 6d, which the client owed to a third party and which the solicitor paid to the third party in the course of compromise negotiations. The solicitor included that sum in his bill of costs as a professional disbursement. On taxation, the Master disallowed it, and the question was whether that disallowance was right. The point was of importance in view of the law that, if the bill of costs was reduced by more than one sixth on taxation, the solicitor would pay the costs but not otherwise. He said (at 138) that it did not seem to him to be a disbursement which prima facie was a professional disbursement made by the solicitors. He rejected the suggestion that the custom and practice of solicitors treated the particular disbursement in question as a professional disbursement as between solicitor and client. He said that, although the affidavit as to the practice of solicitors showed that very often solicitors put that payment into their bill of costs as distinguished from their cash account, it had to be recollected that in all those cases where the bill of costs was not submitted to taxation it made no difference to the client whether the payment appeared in the bill of costs or in the cash account since he had to pay it in any case. He said that, on the other hand, if a particular disbursement appeared in bills of costs which went to taxation, and the disbursement had been habitually treated upon taxation as an item properly introduced into the bill of costs, then that would go far to establish such a custom. No such custom had been proved. Vaughan Williams LJ did not expressly cite Re Remnant although he had done so in the earlier case of Re Buckwell & Berkeley. The other two members of the Court of Appeal (Stirling and Fletcher Mouton LJJ) did, however, cite Re Remnant as setting out the rule which they should follow. Accordingly, we must apply the principle as articulated in Re Remnant. It is apparent that Lord Langdale in that case was endorsing the opinion the Taxing Master in their certificate and his summary of the principle was not intending to qualify or deviate from what the Taxing Masters had said. Indeed, Vaughan Williams LJ in Re Buckwell & Berkeley expressly referred to and applied the Taxing Master’s certificate in Re Remnant. It follows that a disbursement qualifies as a solicitors’ disbursement if either (1) it is a payment which the solicitor is, as such, obliged to make whether or not put in funds by the client, such as court fees, counsel’s fees, and witnesess’ expenses, or (2) there is a custom of the profession that the particular disbursement is properly treated as included in the bill as a solicitors’ disbursement. The ATE insurance premium does not fall within either of those categories of solicitor’s disbursements I have mentioned. It is a premium on a policy of insurance under which the client is the insured, pursuant to a contract of insurance made between the insurer and the client, in order to provide the client with funds to discharge costs which are not recovered from the opposing party and the client is liable to pay, whether those are costs of the other party or of the client’s own solicitors. As the Court of Appeal observed in Hollins v Russell  EWCA Civ 718,  1 WLR 2487 at , “the client’s liability to pay the [ATE] insurance premium arises from the contract of insurance, not from her contract with the legal representative”. In the present case, it was an insurance contract effected by HH as Ms Herbert’s disclosed agent, and it specified Ms Herbert as “the Policyholder”. An ATE insurance premium is not a payment which a solicitor is obliged, as such, to make irrespective of whether or not put in funds by the client, comparable to court fees and counsel’s fees. It is not, technically speaking, a litigation expense at all: see BNM v MGN Limited  EWCA Civ 1767 at . Nor does the evidence establish that there is a custom of the solicitors’ profession that an ATE insurance premium is to be treated as a solicitors’ disbursement to be included in the bill submitted to the client. Ms Herbert relies on the practice of including the ATE insurance premium as a disbursement in the bill presented by the successful party to the losing party when success fees were recoverable before LASPO. I agree with Mr Bacon that this does not assist at all in establishing a custom that such a premium has customarily been treated as a solicitor’s disbursement on solicitor and client assessments. There is no evidence at all before us as to such a custom. Nor did District Judge Bellamy refer to any such custom. He referred to Cook on Costs 2017 para. 2.12. We have not been shown that passage and it is not in our bundle of authorities. There is in the bundle an extract from para. 2.13 of Cook on Costs 2018, although we were not referred to it. I assume it is the same as the paragraph in the earlier edition of Cook, to which the District Judge referred. It describes the principle in Re Remnant and gives examples of what are and are not solicitor’s disbursements consistent with that case. An ATE insurance premium is not one of them. Mr Kirby relied upon the terms of the particular retainer between HH and Ms Herbert and sought to argue that the Insurance Information Fact Sheet, which she signed, required her to take out ATE insurance cover unless she had “Before The Event Insurance” or some other means of funding any adverse order for costs and HH’s disbursements. Even if that is the correct interpretation of the document, it misses the point as the test for what is a solicitor’s disbursement to be included in the bill on assessment. The test is not what is agreed between an individual solicitor and the client but what every solicitor, as such, is obliged to pay irrespective of funding by the client or what is properly included in a bill of costs on assessment as a matter of general custom of the profession. For those reasons I would allow the appeal on the ATE insurance point. This decision is based on the evidence before the District Judge. I appreciate that the consequence is that the client will not be able to challenge the amount of an ATE insurance premium through the convenient mechanism of an assessment under the Solicitors Act 1974 s. 70. That is not, however, a good reason to decline to apply the principle which is clearly binding on us, in the light of the limited evidence before us, and so create a precedent which both undermines the coherence of the principle and may have unforeseen implications in other and different cases. No doubt, if this outcome is considered unsatisfactory within the profession, the Solicitors Regulation Authority and the Law Society can consider what could be done to bring an ATE insurance premium within the principle as to what is a solicitor’s disbursement. In the circumstances, it is not necessary to address the fourth ground of appeal, upon which, in any event, we received no oral submissions.